What is Vitiligo? It is a skin condition that leads to patches of white skin appearing on several parts of the body. It is a disorder that can affect anyone regardless race and gender. In the United States, about 1% of the people is affected by the condition, while an estimated 100 million people suffer from it across the world. White patches appear on the surface of your skin when the cells responsible for producing the skin colour are destroyed. The destruction of these cells could be caused by several factors or reasons. However, the cause or causes of these may not be known. 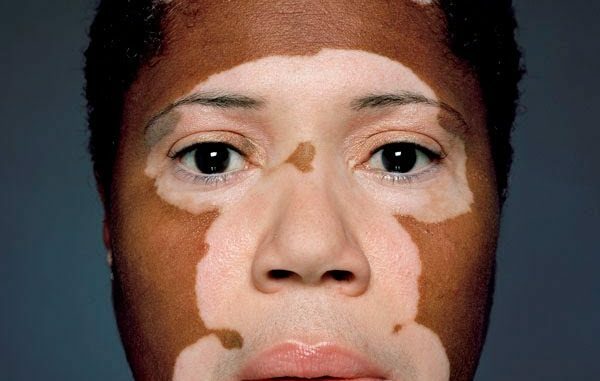 Nonetheless, medical science believes that Vitiligo is an autoimmune disease that causes the immune system to start attacking the melanocytes. The condition can also arise as a result of a disorder in the melanocytes, which could trigger pathways that could lead to cell self-annihilation. Some medical scientists have also linked this condition to severe stress. Vitiligo has a couple of symptoms, but the main one is white patches on the skin that spread and later become larger with time. The rate of spread however, differs from one individual to another. For some individuals, the patches may spread rapidly, while in others they could spread slowly. The patches normally appear in those areas where the body is exposed to the sun such as around the lips, hands, face, and feet. They can also be found in the genital area as well as the nostrils. White patches of the skin are the main signs of the disease, though there are other factors that confirm this diagnosis. Some of these could depend on whether one of the parent’s parent has suffered from the disease before or whether there has been a case of grey hair before the age of 35 before. There is still no known medical treatment for the condition as most researches are on-going. However, treatment could depend on how the extent of the condition and how much the patient can afford since treatment can be very expensive. It is also important to note that specialized treatments are not always effective, and also come with side effects. Other options that have been considered and still being used include steroid therapy, surgical skin grafting, and herbal treatments. Reports in the early 90s suggest that a group of Swedish doctors cured patients of the condition within three weeks with the use of vitamin supplements. However, such reports are no longer made public due to the fact that there is a lot of money being made from the treatment.